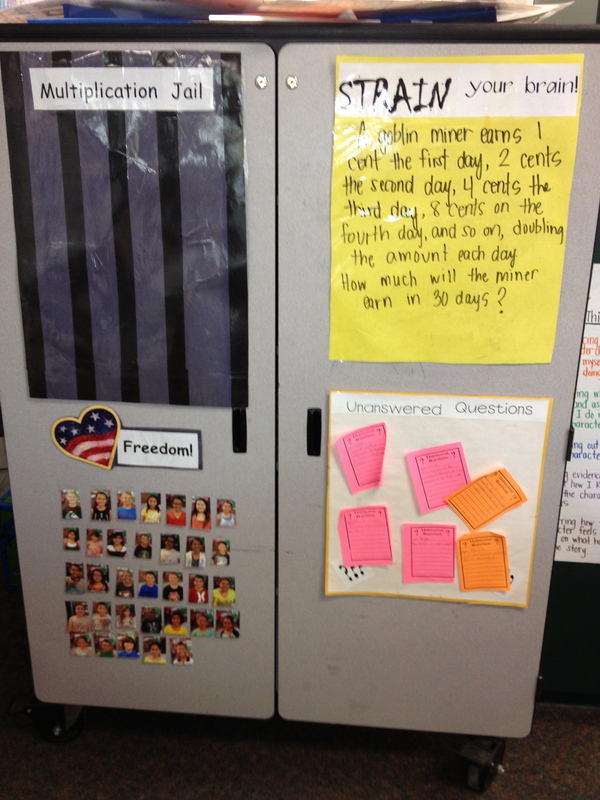 Took Kate Kinsella’s sentence frames and formatted them to fit in stand (Staples). One was placed per st group. If you have been paying attention to the transition to common core, you know that collaborative conversations between students are ESSENTIAL to student learning. Learning is social; always has been, always will be. And quality teachers know that quality lessons should include all 4 components of literacy: listening, speaking, reading, and writing. (Some might argue viewing, as well. Meaning incorporating other forms of media such as video, photographs, etc.) Many teachers, pre-common core, were incorporating and fostering these types of meaningful conversations. The common core expectations have simply validated that practice. It is not new. In an effort to assist students in participating in and initiating quality dialogue, I decided to create these table toppers for each of my groups. 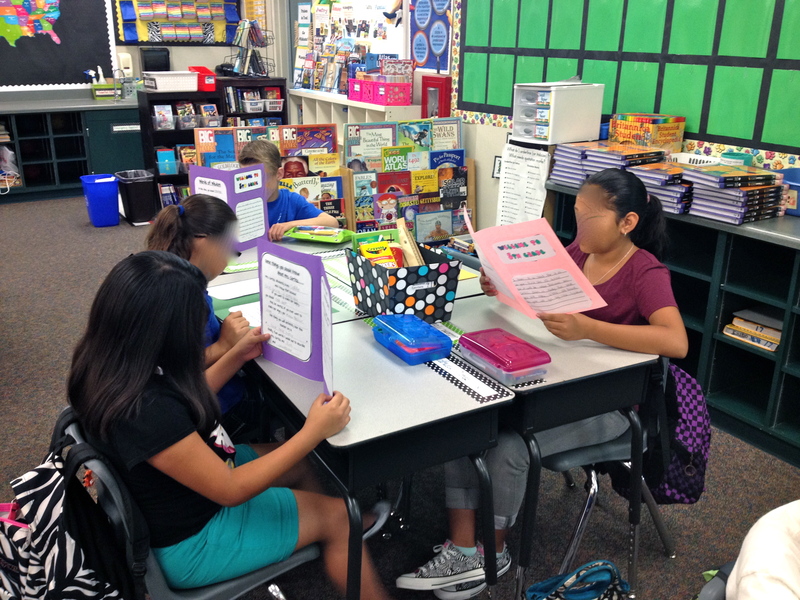 (My classroom desks are set up in groups as promoted by Kagan.) 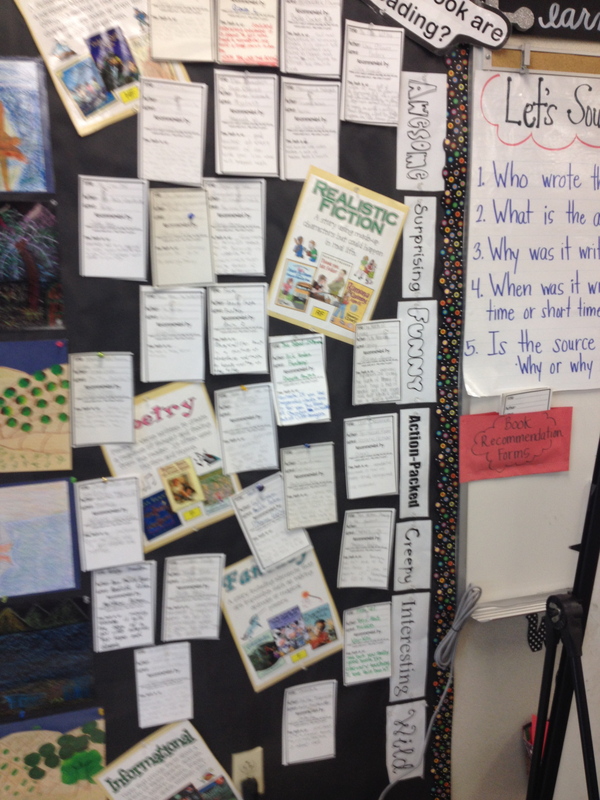 One side of the display is taken from the genius guru of vocabulary, Ms. Kate Kinsella. If you haven’t had the opportunity to attend one of her professional learning sessions, do look her up. Her work on vocabulary, and her own vocabulary might I add, will have you scrambling for a thesaurus. It’s remarkable. Anyway, using her sentence frames , I simply formatted them to fit in an 8 X 11 table topper, purchased at Staples for around $8. The reverse side of this document is “Kiss These Words Goodbye“. It’s much like a ‘Dead Words’ or an ‘Instead of _____, Say ______’ poster. The problem with these posters, I found, was that-when posted on the wall- they were too far away from students, inaccessible, really. I selected some commonly used Tier 1 words that students cling to..you know the ones, sad-mad-bad-nice, etc.—-then, wrote some synonyms for each. In my opinion, this table topper worked WAY better than any poster I ever hung on my wall. The students would CONSTANTLY refer to it, I mean physically pick it up, and read from it. Amazing! Preferred to use this rather than posters or charts on the wall. Easier access for st. to use as reference. What do you use to expand your students’ everyday vocabulary? How do you foster collaborative conversations? Here we go again, people! It’s time for another school year. (For those that work at a year-round school, you might have long since settled into your classrooms. Hope it’s going well.) As I mentioned before, I have taken on a new role this year as an instructional coach. I’m currently on Day 6 and have attended a total of 5 trainings. I’d say it’s going rather well! (I’ll speak on the trainings at a later date because I got some really juicy tidbits to share.) Anyway, even though I don’t have my own classroom, I will still be posting things I have done in the past. You know, those things that I always said I would blog about…and didn’t. The most important thing a teacher can do during the first days of school is to build a positive and supportive classroom culture. The students need to feel safe in order to take academic risks throughout the year. If the students are not comfortable, collaborative conversations cannot occur and learning will not reaching its optimum potential. We all know that learning is social. So if the social environment is not there, students will not achieve their full greatness. One of my brilliant professors taught me a motto which I have since stolen and slapped on a poster. He would say, “Everyone participates, everyone learns. You either do it with us or in front of us.” He would make us repeat that each day. So when students felt like not participating in an activity (I like to incorporate dance moves, songs, cheers, etc. ), that would be their choice. But I would remind them that their only other option was to do it ‘in front of us’. I have yet to have a student come to the front. Below are some pictures that I will briefly explain. The “FAIL” poster was always a hit. Students glanced at it with scary eyes until I explained that failure was welcomed and encouraged in this class. When we fail, we learn and try again. 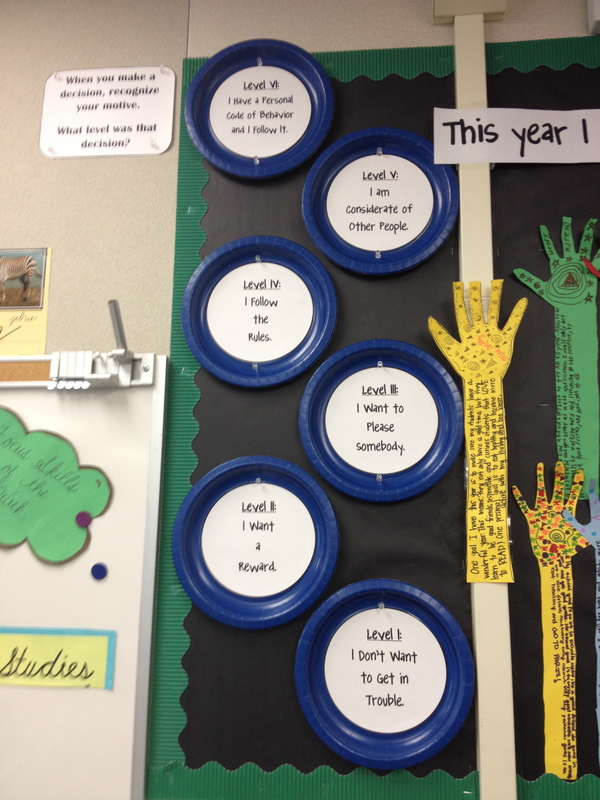 Each day I had a different activity for the students to try to practice this concept (i.e. 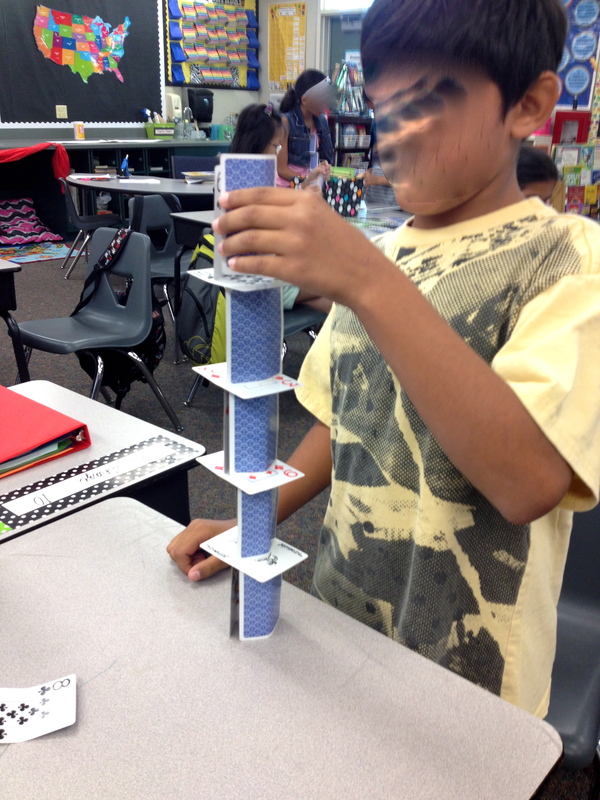 house of cards, math challenges, domino buildings, any fun thing found on my pinterest board). First Attempt In Learning–create a culture where it’s ok to fail! Changed around my bk rec. wall because st were struggling with the genres. Needed to bring clarity. Above was my revised book recommendation wall. 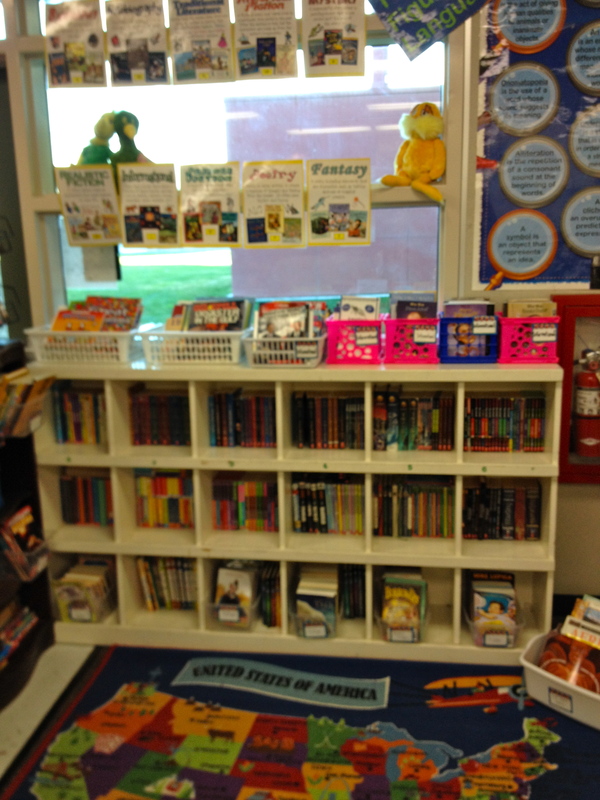 Originally, I had the books only sorted by fictional and informational text. But because my “40 Book Challenge” required readings of different genres, I needed to categorize the recommendations for the students. I always took pictures of my kids on the first day of school and made about 6 copies per student. You’ll notice in my classroom that I have their faces on everything. I like that personal touch, more so than name tags. Personal preference. The Raining Compliments was a way to teach the students how to give and receive meaningful compliments. 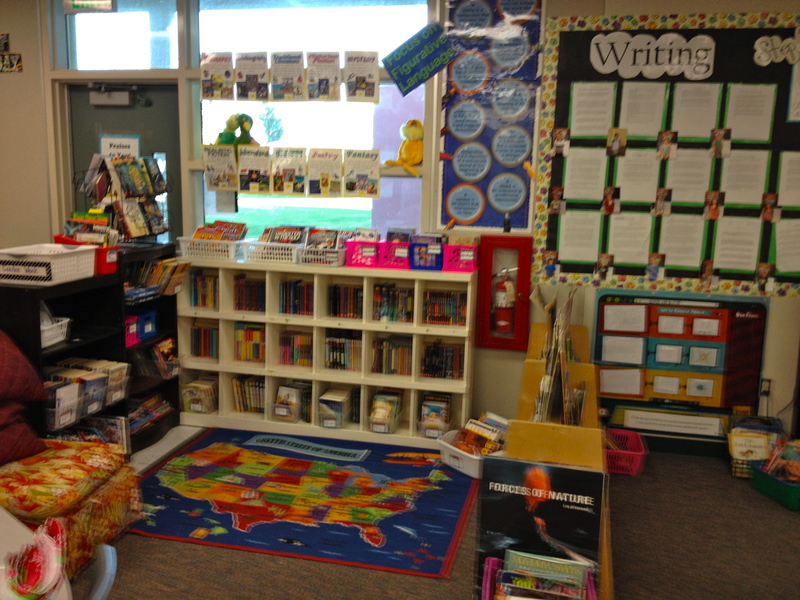 One of my classroom jobs was a compliment coordinator. This person would let me know when each student had at least one compliment in their bag. Only then would students be able to collect their compliments during dismissal. Take a pic of kids. Staple each face to a bag to leave throughout the school year. Teach students how to give quality compliment and st. collect them when everyone has at least one in the bag. St. filled out a form when they read a book they wanted to rec. 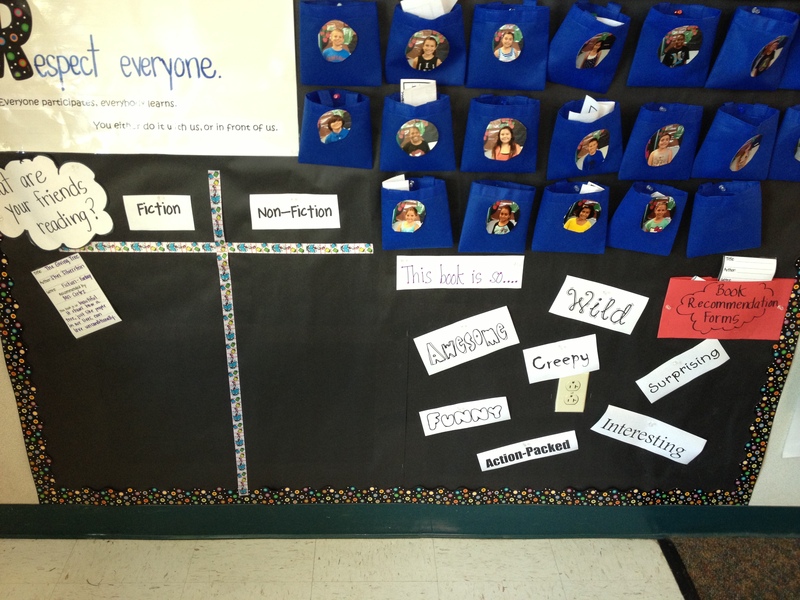 Super easy and st. used as a resource when they didn’t know what their next book choice should be. Power of the Peers! I know, I know. Multiplication Jail might be considered too negative. It depends on the relationship you have with your students. This is always when I used to give timed math tests (operational drills). I stopped that practice a couple years ago. 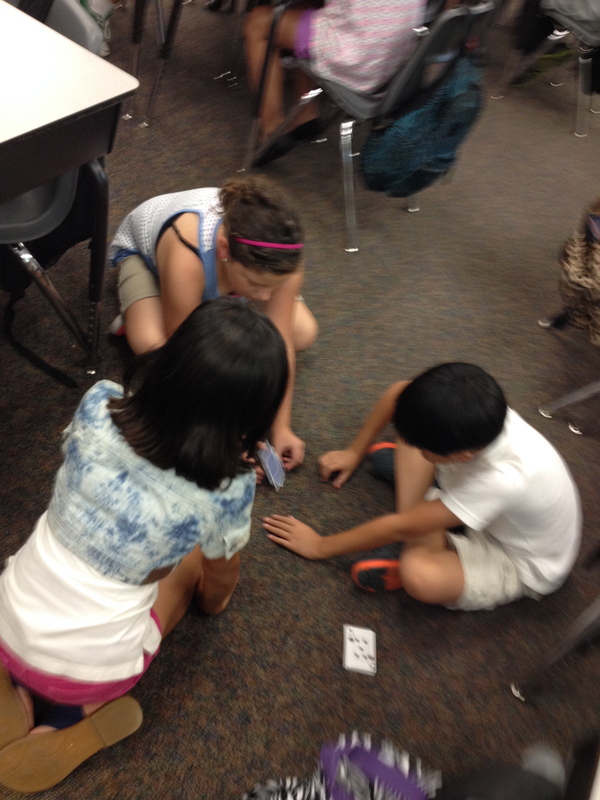 Strain your Brain was simply a fun, critical thinking challenge (usually math) that students tried to solve each week. 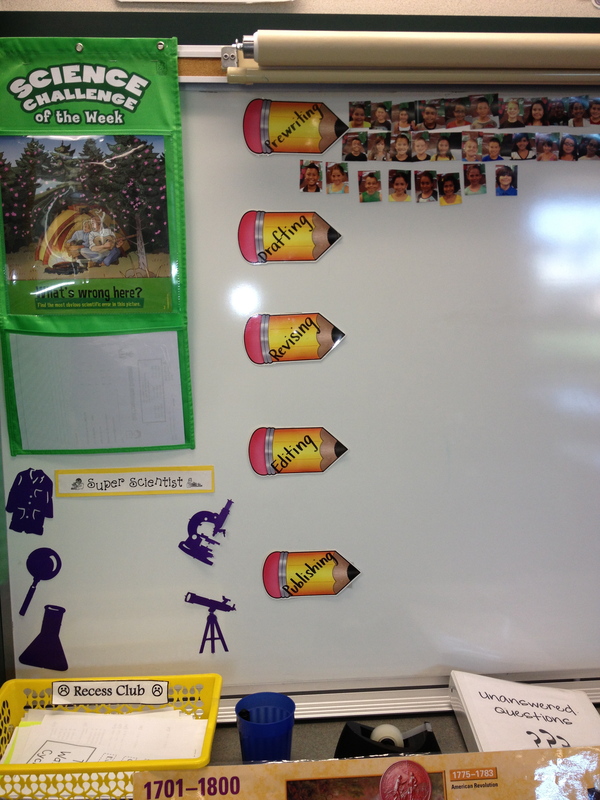 Keeping track of fast facts results and weekly brain challenge. Love this science challenge of the week. Again, it was a student’s job. The less I have to remember, the better for all. 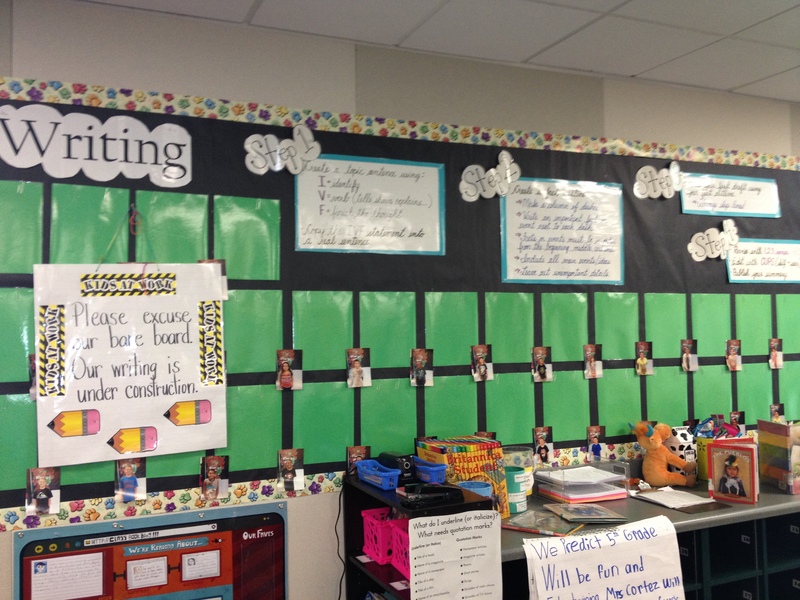 The visual for monitoring the writing process really helped me keep track of where everyone was and who needed help. Take pics of your students. Slap a magnet on the back and voila! 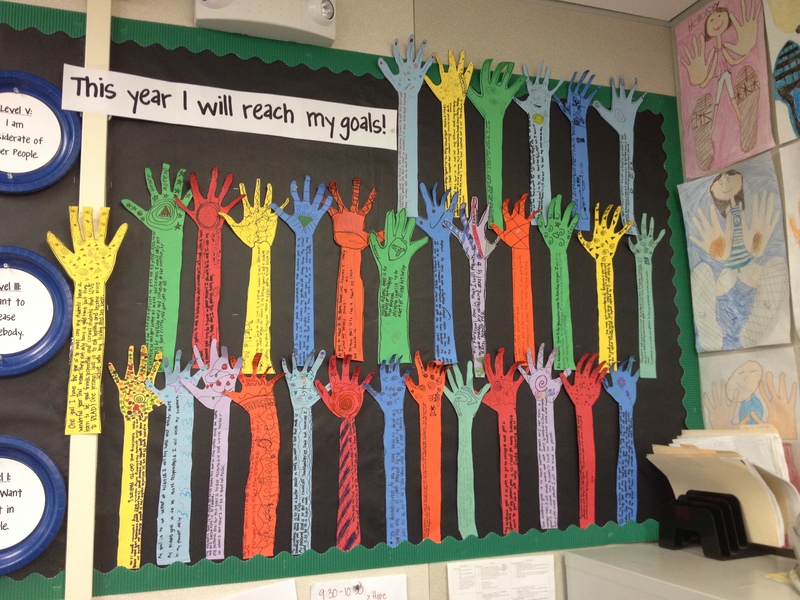 The students move their head to mark which stage of the writing process they are in. A perfect visual for both st. and tchrs. Beth Newingham we love you! After we read any story, I printed out a small image of cover and we placed it in app. spot. 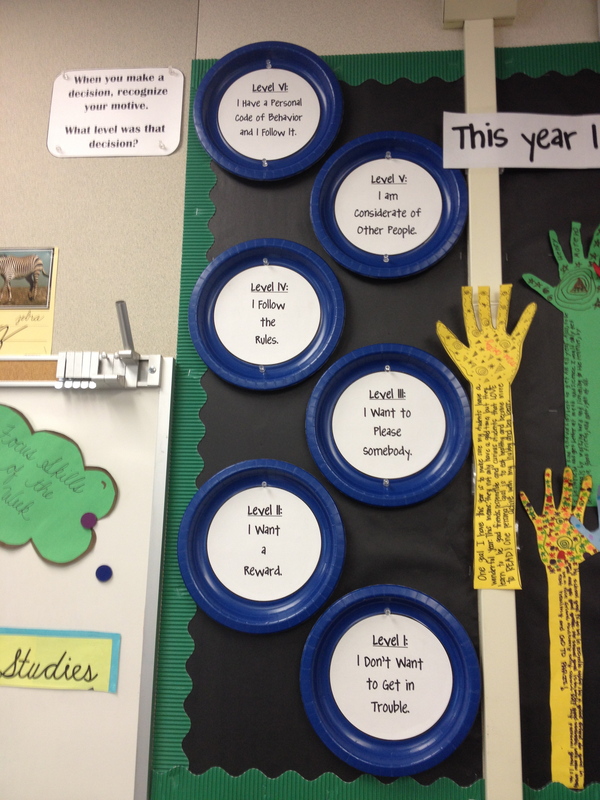 We could then refer to past reads throughout the year. Pictures on the writing wall too! I wrote out the steps of the writing process depending on text type so the students could reference it as needed. P.S. Love the “Please excuse our bare board. Our writing is under construction.” sign. I always felt guilty with a bare board, but this sign liberated me. 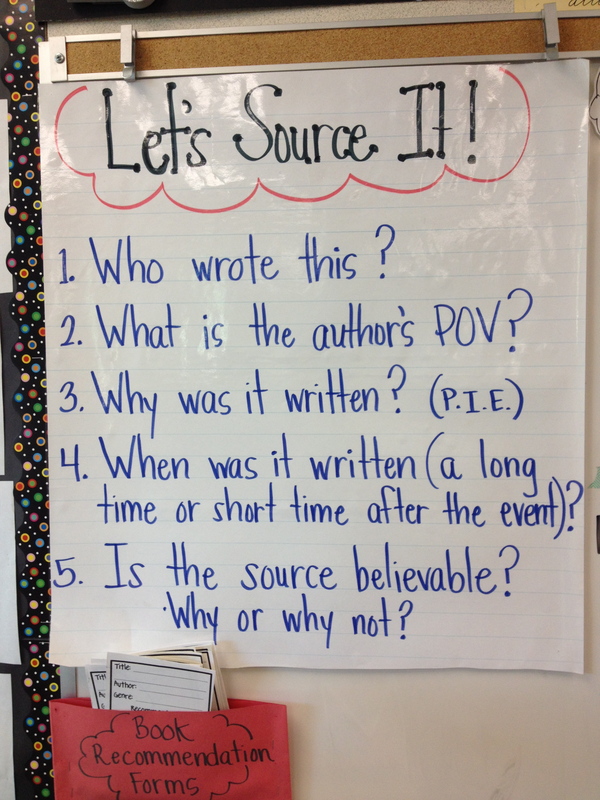 Questions critical readers need to ponder when reading news, history, etc. Thanks Teaching Channel! Added my own flare to this quality SIOP strategy to mark the text. 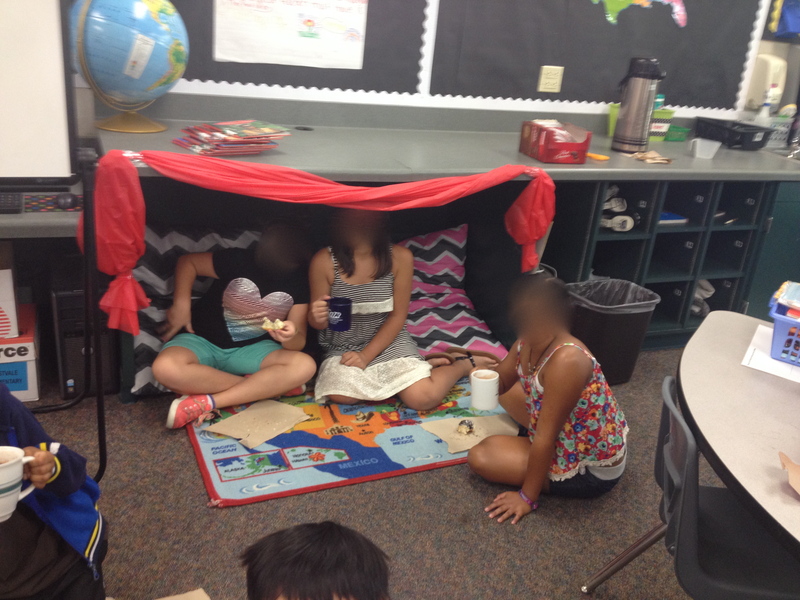 Kids LOVED the reading cave! Also had a couch and cozy chairs in the room. So easy to please! Welcome back to a new school year! I know many of you are just now getting into “school mode”, but those of us that teach at year round schools have been at it since the beginning of June. 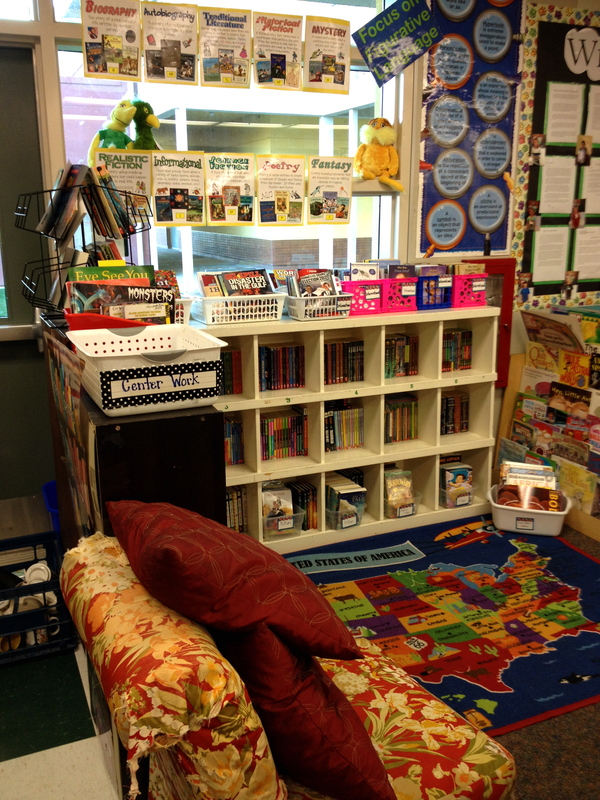 This year I am still teaching 5th grade, but a HUGE change has occurred. I am now team teaching with an amazing colleague so that I can focus my instruction on my great loves: social studies and language arts. Whoohoo for me! We are five weeks in and so far, I’m loving it. I already can’t imagine going back to planning lessons for ALL subjects. No thank you. I prefer to do activities like this as opposed to handing out a packet of rules/routines and reading through it. 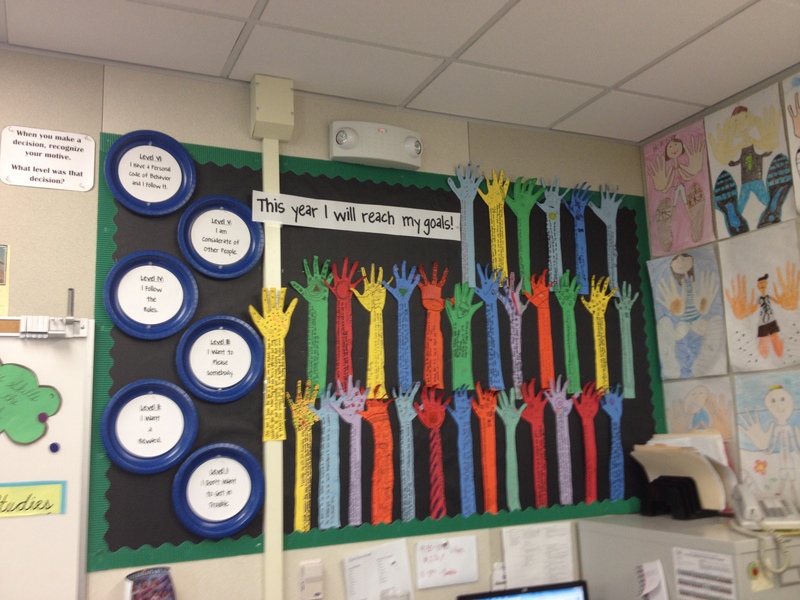 This way, the students can actually get a feel of how the class will operate and my rules/routines are demonstrated in action. No need for long lectures. 1st day of school and reading the survival guides made for them by my previous class. Getting to know each other through Hands and Feet Art! 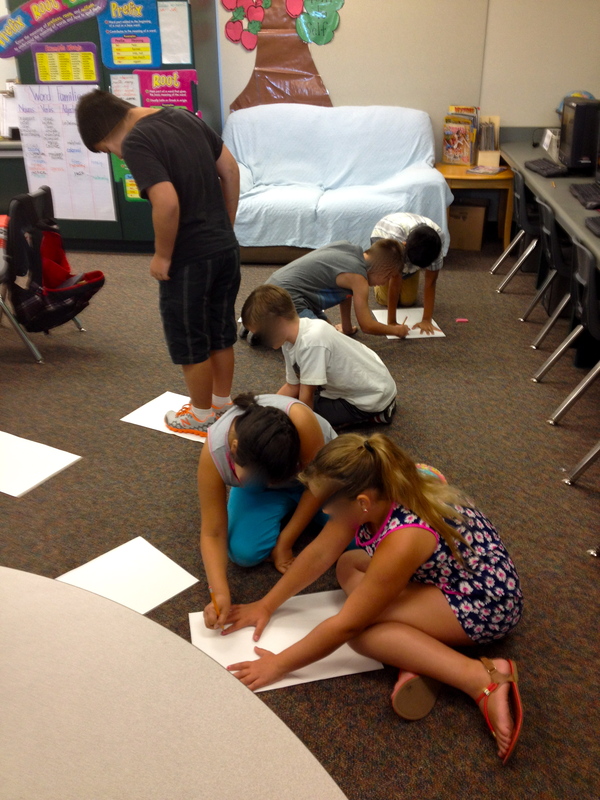 Tracing each other’s feet and hands to create their self-portrait. 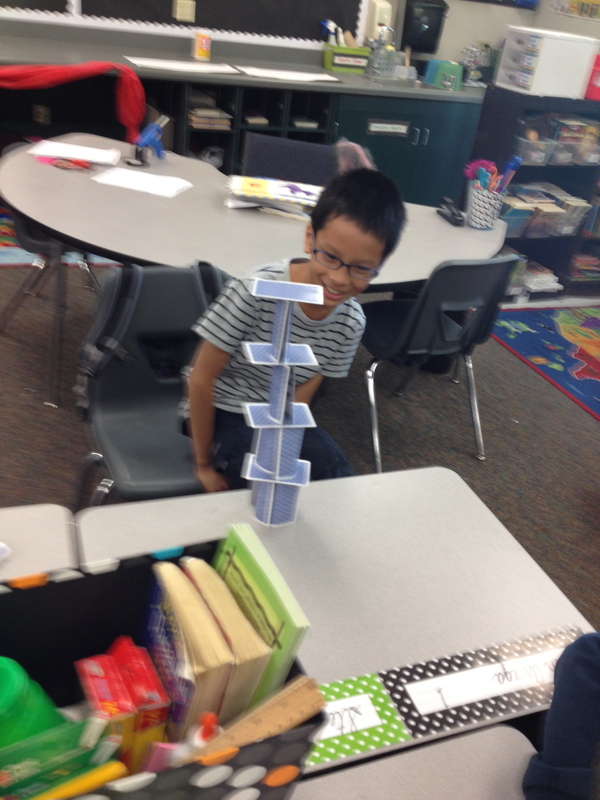 The last activity was the “House of Cards Challenge”. I have a poster in my classroom that says….”It’s okay to F.A.I.L. First Attempt in Learning”. I like to give the kids a challenge that I know they will not be able to figure out or succeed in their first try. I use this as a way to let my students know that it is OKAY TO FAIL!! What is most important in any task is our attitude, our plan of attack, and our perseverance. So the first challenge of the year was to use a deck of cards to build the tallest structure. That was it. No other rules except they had to work with their partner. The results are always entertaining. We did this the first day and again on day 2 and 3. The kids, of course, got better and better. I even assigned a follow up for homework: they had to find a strategy of how to build a house of cards, whether that was online or asking a family member. They loved it! And they got better! Every teacher should read. Inspiring…lit my fire! Reprinted by arrangement with Viking Penguin, a member of Penguin Group (USA) Inc., from TEACH LIKE YOUR HAIR’S ON FIRE: THE METHODS AND MADNESS INSIDE ROOM 56 by Rafe Esquith. With experience, patience, and lessons learned from failure, you can create a classroom based on trust. The students know you to be fair. You’re dependable. The kids know that with you around, they’re safe and they’re going to learn something. 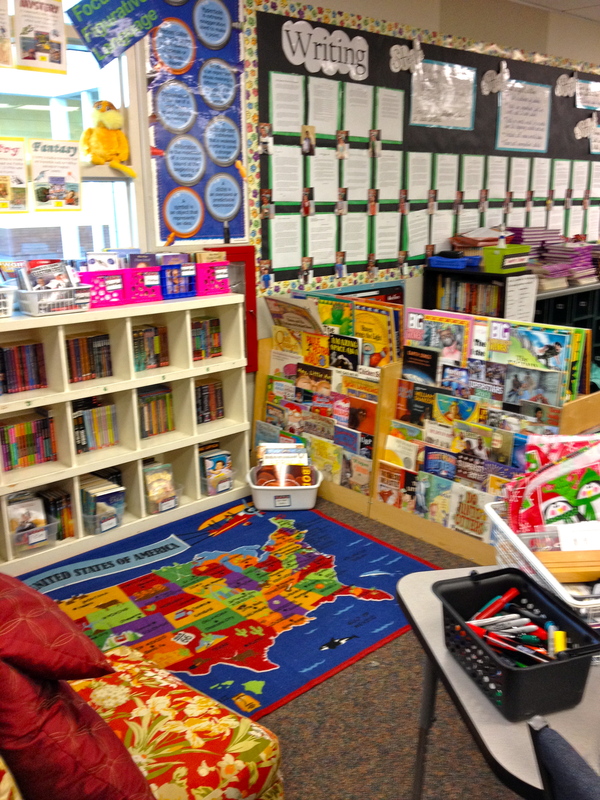 A classroom based on trust and devoid of fear is a fantastic place for kids to learn. But a foundation of trust is not an end result. It is not even a middle ground; it is only a good first step. We’ve all seen this time and time again: Students do a terrific job with a fine teacher, but one day the teacher calls in sick or has to attend a meeting. A substitute takes over, and the classroom that had previously functioned so well turns into a scene from Animal House. 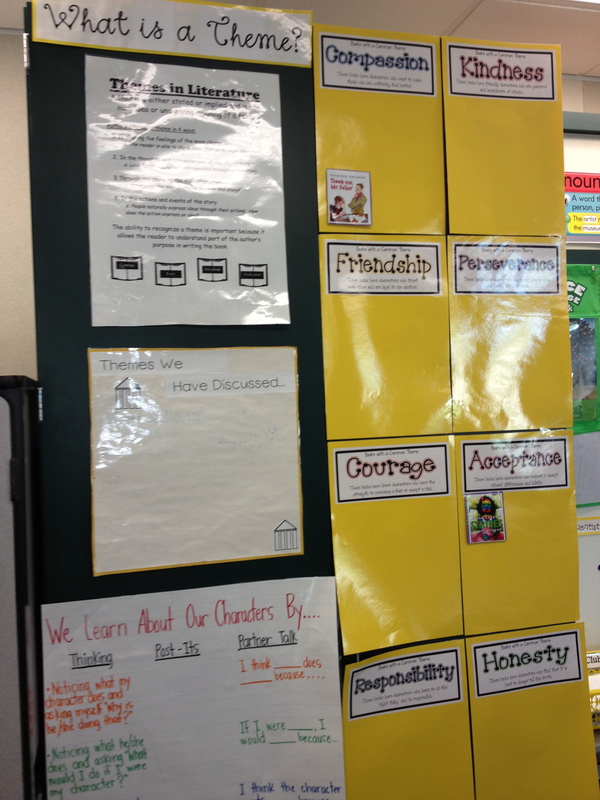 A classroom based on trust and devoid of fear is a fantastic place for kids to learn. But a foundation of trust is not an end result. It is not even a middle ground; it is only a good first step. Over the years, I have tried many different ways to develop a classroom culture in which students behaved well for all the right reasons. Most teaching victories come as a result of years of difficult and painful labor – there are very few “educational eurekas,” where the light bulb blazes over your head and you know where to go. But one glorious evening it happened to me. I had been planning lessons around my favorite book, To Kill a Mockingbird, and was reading a study guide that analyzed the novel’s characters in relation to Lawrence Kohlberg’s Six Levels of Moral Development. The Six Levels were simple, easy to understand, and, most important, perfectly applicable to teaching young people exactly what I wanted them to learn. I quickly incorporated the Six Levels into my class, and today they are the glue that holds it together. Trust is always the foundation, but the Six Levels are the building blocks that help my kids grow as both students and people. I teach my students the Six Levels on the first day of class. I do not expect the kids to actually apply them to their own behavior immediately. Unlike simplistic approaches that tell us, “If you follow these twenty-seven rules, you too can have a successful child,” the Six Levels take a lifetime of effort. 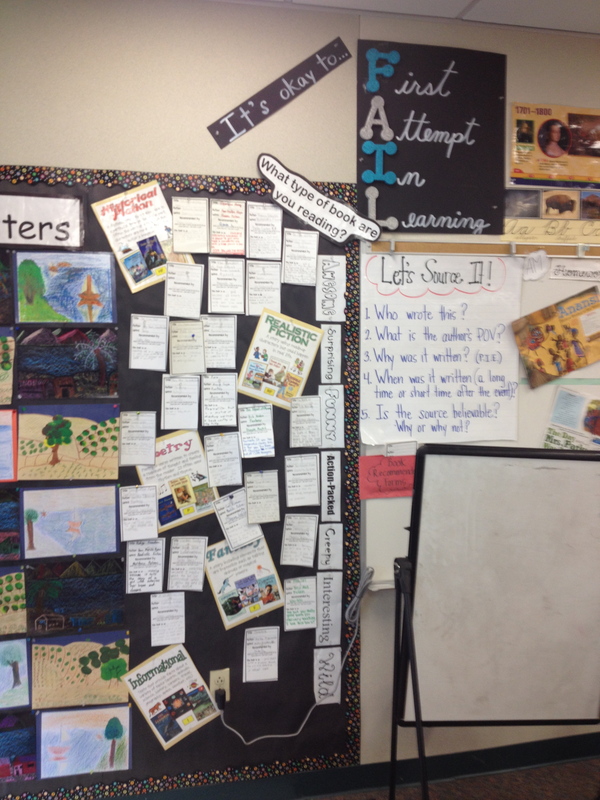 They are a beautiful road map, and I am constantly amazed at how well my students respond to them. Most students are trained from the minute they enter school to be Level I thinkers. Practically all of their behavior is based on the fact that they want to avoid trouble. “Quiet down!” they frantically tell one another. “The teacher’s coming!” They do homework to stay out of trouble. They walk in a line to keep the teacher happy. They listen in class to stay in the good graces of the instructor. And we teachers and parents reinforce this constantly by promising them trouble if they don’t toe the line. But is this good teaching? Level I thinking is based on fear. Eventually, we want our children to behave well not because they fear punishment, but because they believe it is right. Level I thinking is based on fear. Eventually, we want our children to behave well not because they fear punishment, but because they believe it is right. I have visited middle school classrooms in which teachers use Level II thinking to encourage their students to finish homework. One history teacher I met pits his classes against each other in a competition to see which of them can complete the most homework. The winning class gets a prize at the end of the year. Apparently this teacher had forgotten that a knowledge of history is supposed to be the prize. When I spoke to the class that did the most homework, I learned that they were terrific at completing assignments and turning them in, but their understanding of history was shockingly limited. As they grow up, kids learn to do things to please people: “Look, Mommy, is this good?” They do the same thing with teachers, chiefly with the charismatic or popular ones. They sit up straight and behave the way we hope they’ll behave. But they do it for the wrong reasons. When kids want to please you, it gives your ego a jolt. 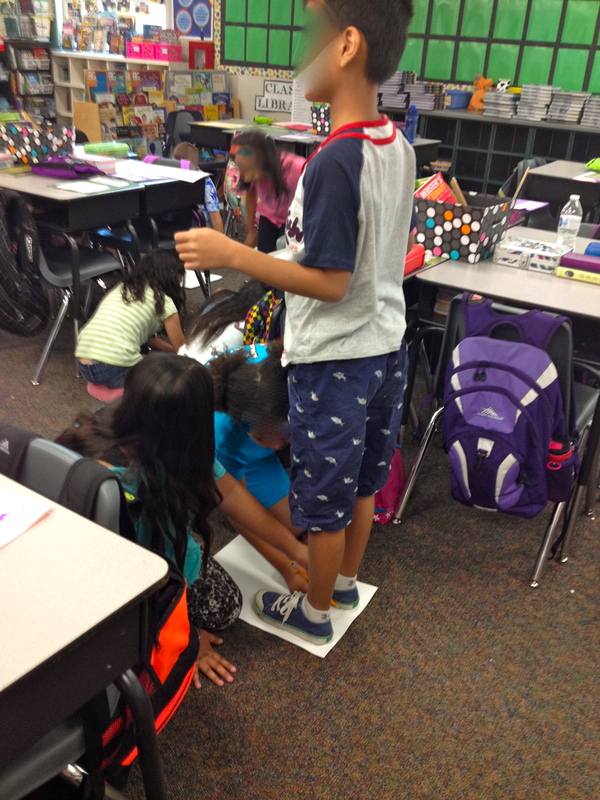 It’s nice to have students show you what you think of as respect, to have them jump when you say jump. But we can still do better. This is a point on which I simultaneously tease and challenge my students. Do you brush your teeth for me? Do you tie your shoes for me? Do you see how silly that sounds? And yet many children still spend their days trying to please their teachers. I still think we can do better. When kids want to please you, it gives your ego a jolt. It’s nice to have students show you what you think of as respect, to have them jump when you say jump. But we can still do better. Level IV thinking is very popular these days. With so many young people behaving badly, most teachers are trained to lay down the law on the first day of class. After all, it is essential that kids know the rules. 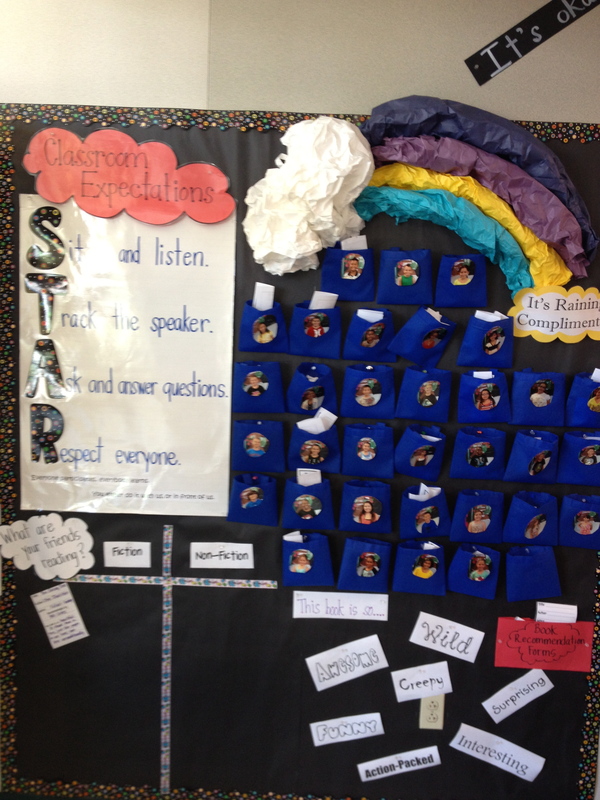 The better teachers take the time to explain the “why” of certain rules, and many creative teachers get their students involved in the creation of class standards. The theory is that kids who are involved in generating classroom rules will be more invested in following them. There is truth in this. I have no problem with rules. Obviously, children need to learn about boundaries and behavioral expectations. But if we want our children to receive a meaningful education, do we really want them to do things because Rule 27 says they should? I met a teacher who had an interesting way of teaching his kids to say “thank you.” One of his rules was that if the teacher gave you something – a calculator or a baseball or a candy bar – you had three seconds to acknowledge his kindness by saying “Thank you.” If you didn’t do this, the gift was immediately taken back. And it worked. The kids said it constantly. The only problem was that they had no real appreciation for the gifts they received. They were merely following a rule. Also, the “lesson” did not carry over into other areas of the kids’ lives. One night I took those same children to see a play, and they were no more or less gracious than the other children in the theater. Level V is rarefied air for both children and adults. If we can help kids achieve a state of empathy for the people around them, we’ve accomplished a lot. After many years of trying to get this idea across to my students, I finally found success by introducing them to Atticus Finch and To Kill a Mockingbird. At one point in the novel, Atticus gives his daughter, Scout, a piece of advice that perfectly illustrates Level V thinking: “You never really understand a person until you consider things from his point of view . . . until you climb inside his skin and walk around in it.” Many of my students took this advice to heart and before long the idea began to snowball. During these years, I received extraordinary thank-you notes from my substitute teachers. 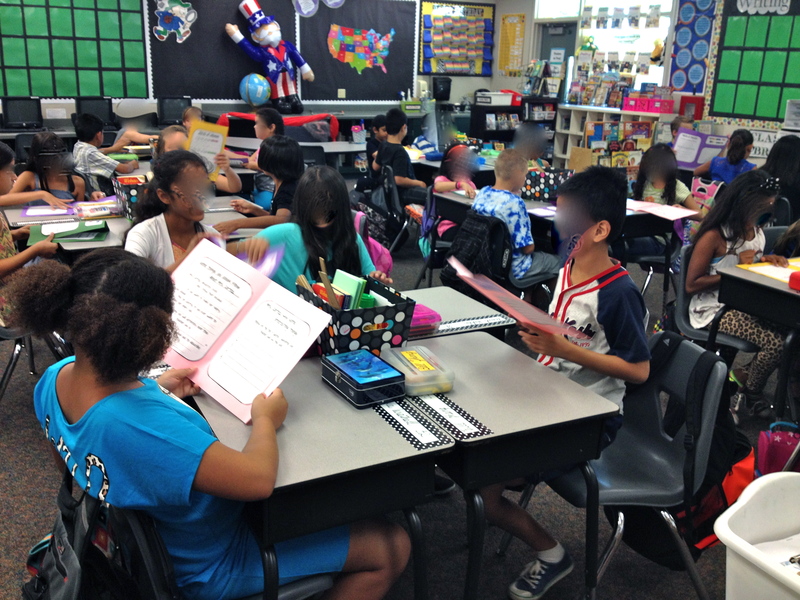 They were amazed that my students were able to modulate their voices throughout the day. When one sub asked the class why they spoke in whispers, the kids told him they did not want to disturb the kids in the next room. Announcements were made by grateful pilots on airplanes that the Hobart Shakespeareans were on board, and planeloads of people applauded their quiet demeanor and extraordinary manners. I was happy and very proud to be their teacher. But . . . you guessed it. I still think we can do better. I know we can do better because I’ve seen it happen. The Level VI thinker is someone who knows himself. He does not base his actions on fear, or desire to please someone, or even on rules. He has his own rules. I teach my students about level VI in several ways. 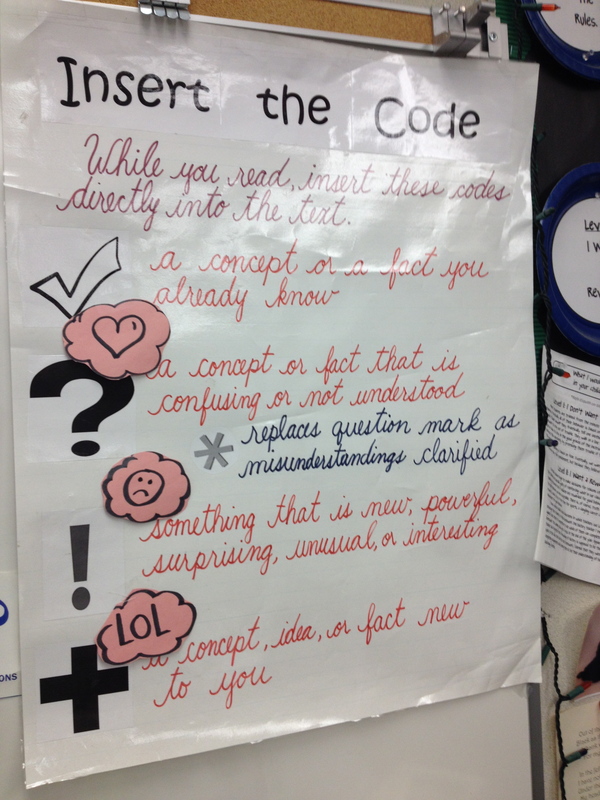 Since I cannot discuss my own personal codes, I try to help the kids identify them in others. There are any number of outstanding books and films in which the Level VI individual exists. It’s fun for parents and teachers to find this type of thinker – they’re all over the place once you begin looking. If you are skeptical about trying to get kids to this level of thinking, I don’t blame you. Any teacher who is sincere and ambitious about what he does opens himself up to colossal failures and heartbreaking disappointments. But that’s what I do. It’s what all good teachers and parents do. We ask a lot of our kids and do the best we can. A few years ago, I missed a day of school in order to speak to a group of teachers in another state. I told my class in advance and did not discuss consequences if they behaved poorly for the substitute. I did not promise any rewards if they behaved well. I told them I’d miss them and would see them the day after my talk. When I returned, I found a note from the substitute to the effect that my students were wonderful. About an hour later, there was a knock at the door of my classroom, and a short woman came in, holding hands with her six-year-old son. Something had happened to her little boy, a first grader, the day before. Walking home from school, he had been beaten up and robbed of his backpack. While this was happening, other students, as is so often the case, only watched or continued on their way home. But a little girl who was walking by had picked him off the sidewalk, taken him to a fountain, cleaned him up and walked him home to make sure he arrived safely. The boy’s mother was going around trying to find the girl who had helped her son, to thank her. I asked my class if anyone knew about this. Nobody knew anything. They left and continued their search. Most of the kids were speculating on which school bully had perpetrated the crime, but Brenda kept working on her math. I noticed this because Brenda hated math. I stared at her as she hunched over her math problems in the back of the room. And for one oh-so-brief moment she looked up, unaware that I was watching her. She looked up because she had a secret and wanted to know if anyone knew it. I didn’t until our eyes met for a split second. Her eyes narrowed and she gave me a serious shake of her head that told me to mind my own business. It was Brenda. She had helped the little boy, but her plan for anonymity had been foiled by the mother and my brief glance. The rest of the day was a blur. Brenda had reached Level VI and no one would ever know. She and I have remained very close over the years, but we have never discussed that day. I don’t think we can do any better than this. My only regret is that I did not read this book sooner and that I was not able to teach these “levels” at the beginning of the year. Will that really matter? Who knows, but there’s no better time to start then now. *I made the signs shown in the picture below to serve as a reminder for me to constantly evaluate our decisions, the students and my own. I’m even going to use them to analyze characters in the literature we read. I can’t wait! Completed board…finally! Level of Ethics on one side (so it’s always fresh in my mind) and goals on the other. Let’s do this! What level are you? What level are you teaching your students to be? Code of Ethics Levels Click on this to download the “Levels” headings. Kid President, I Love You! This kid is one of my favorite things! Watch him and fall in love…. Okay, okay… I know I’m supposed to be planning right now, but I just watched another one of this kid’s videos and I cannot help, but share. If you haven’t seen his videos, do yourself a favor and find him on youtube.com. My personal favorite was one shared by our principal at a staff meeting. It’s a “Pep Talk from Me to You”. I immediately shared it with my students, and they journaled and discussed it. He leaves you with such a positive, uplifting feeling. It’s totally contagious! Anyway, as I was “planning” I came across this: Pep Talk for Teachers and Students. You must watch. Even though he is so entertaining and cute, his message is strong and beyond his years. Let us all reflect more often: What are we teaching the world? I, too, hope it’s to be awesome.